kris chau is running a '15dollaholla!' sale where up until september 7th, you can request any drawing that you want (black&white/8.5x11) for 15 bucks! 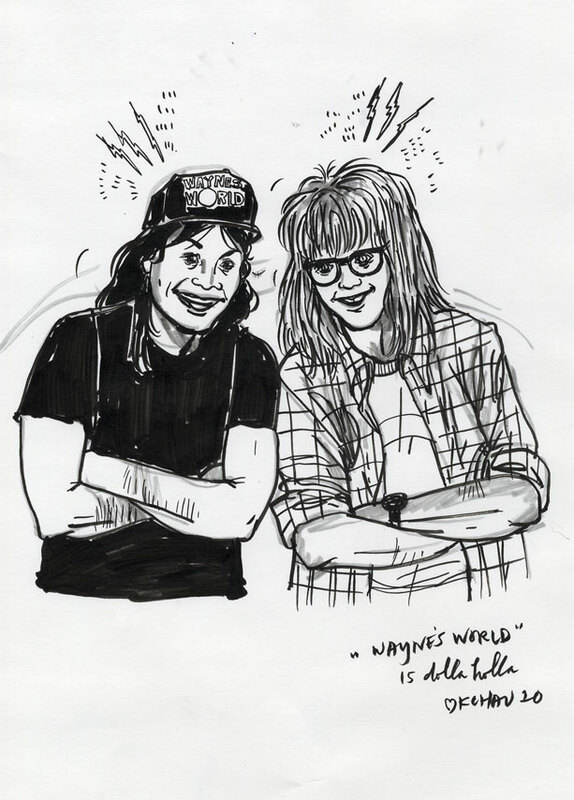 this wayne's world homage is what she did for me! i'm so excited to hang it in my new house!